Congratulations to the Novice Rep Team for winning the B Final of the Grant Lee Memorial Tournament this weekend in Hensall. The boys improved every game winning three times on Saturday. They beat Listowel 5-2 to clench the B Championship! Great work boys! It was fun watching you play! Thanks to all the parents and fans for cheering them on. Thanks again to all the kids at tryouts. The following names have been selected for the Novice Rep team. All players not selected will be passed along to the Novice AE coach. 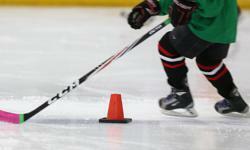 Novice AE tryouts will begin Monday Aug. 28th 5:30-6:40 PM in Watford.